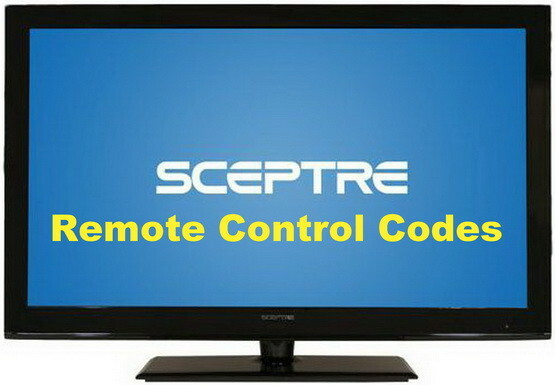 If you have recently bought a universal remote control and you need the remote codes to operate your Sceptre TV, we have codes below for your TV that should be working. These codes will work with all universal remote controls. If the first does not work keep trying the numbers down the list. The following 5 digit codes will work with your Sceptre TV. The following 4 digit codes will work with your Sceptre TV. NOTE: If you have the rc64 remote, try codes 10878, 11217, 11360, and 11599. Codes listed with an asterisk (*) are possible alternate codes for your TV. These alternate codes should operate the primary functions of your device in most cases (Power, Volume Up and Down, Mute). 1. Set the “Mode Switch” to TV. 2. Press and hold the “Mute” button and the “Select” button until the visible LED blinks twice. The following code are the most popular for your Sceptre brand TV = 11360 11217 10878 11599 10000. Are we missing a remote code for Sceptre TVs? Let us know or if you have issues ask a question below. Tried all codes listed above. Still cannot get Xfinity cable remote to operate tv functions. I recently purchase a 40″ Sceptre TV. While the picture and sound are great, I have it connected to cable system. I can control on/off and select channels with the cable remote, but not the volume. I had cable company send me new remote, but volume still not controlled with cable remote control. All functions work with Sceptre remote control except channel up/down will not control cable adapter box. How do you get the code for a Sceptre TV built in dvd player 46 series. I have an ATSC-HDTV, and I just bought an RM-Vz320 Sony Universal remote. I have used all the codes and it doesn’t seem to work. The way I set it up is to hold the SET button until light turns on, and without releasing it, i would press the TV button. After that, I would press the Five Digits Codes in. All of the codes that I’ve tried don’t seem to work. HELP!!!! What would be a good universal remote to use with the Sceptre TV? I hate the remote that came with it. Every time I try the sleep timer feature, I hit a key that takes me out of satellite mode. Yes I am old and can’t see well. What is recommended for a longer sleep timer. Any of these universal remotes will work as you can program most of them to change the sleep timer and they work with ALL TVs. Need the remote code for a Sceptre TV model x32. Hi! We have a Sceptre TV with a built in DVD player model #E245BD-FHD. Will these codes work for that model? Yes the codes on this page should work for all Sceptre TVs. If you run into any trouble for getting a remote code to work, let us know and we can research further. Will a GE Universal remote work on my Sceptre TV? If so, what is the correct code? The TV is about two years old. Yes, you can try these universal remote codes with your GE remote with a Sceptre TV: 11360 11217 10878 11599 10000. If those codes do not work let us know the exact model of your GE universal remote and we can assist further. No Sound When Watching Netflix - Getting Video But No Audio - How To Fix? No Sound When Watching Netflix – Getting Video But No Audio – How To Fix? Our website contains all the Universal Remote Control Codes you will need to control all your devices from one remote. We list all the remote control codes you will need to make your universal remote work with all the audio and visual equipment in your home theater. This includes your HDTV, DVD, Receiver, Cable Box, Roku Player, Apple TV, & TV brands including Samsung, LG, Vizio, Toshiba, Element, Sony, Emerson, Sanyo, Zenith, GE, Mitsubishi, Philips, RCA, & more. We have all the programming methods to program your universal remote controls including COX, COMCAST, LOGITECH, ONN, JUMBO, XFINITY, DIRECT TV, DISH, & more. All universal remote controls can operate audio and video devices of almost all brands. For each of your audio & video devices you simply enter a Device Code in the universal remote control and you will find all the codes to operate your devices here on CODES FOR UNIVERSAL REMOTES.